Our ability to do any physical work hinges on the carbohydrate content in our food. Carbs act as a fuel for our body and are the major source of energy as it contributes to 55-60% of total energy. It might have occurred to you that a decrease in carbs works well for the weight loss, but proportionately it also weakens your body which is undesirable. Carbohydrate-rich food fills enthusiasm and energy in the body which in turn reflects in every activity you do. Most people think people with more energy eat more carbohydrates, but that would be putting the cart before the horse. The reverse is true; people who take high carb diet have more energy than who does not. Apart from energy, carbohydrates have other functions in the body, such as aiding metabolism, brain, and nervous system functioning, etc. A Brief – What are Carbs? Carbohydrates get digested in the body to form glucose or sugar which can be later converted into glucose that is absorbed by the intestine walls. This glucose finally changes its form to energy which can be readily utilized by us. As our body requires 50-60% of calories from carbs, it’s highly recommended to take carbohydrate rich food. Each gram of carbs contains approximately four calories of energy. The Recommended Daily Allowance of carbs is 140 grams for adults. There are three types of carbohydrates- sugar, starch, and fiber. Starch- It is made from chains of small sugars which gives energy when digested. Fibre- Fiber doesn’t provide any calories as they cannot be broken by our body during digestion. Though carbohydrates have a low gram to calorie ratio, it’s safe not to consume more carbohydrates than required. If burning of calories is lower than the intake, it results in the storage of fat. People who aim to reduce weight should be a little cautious about this situation of taking more than necessary. 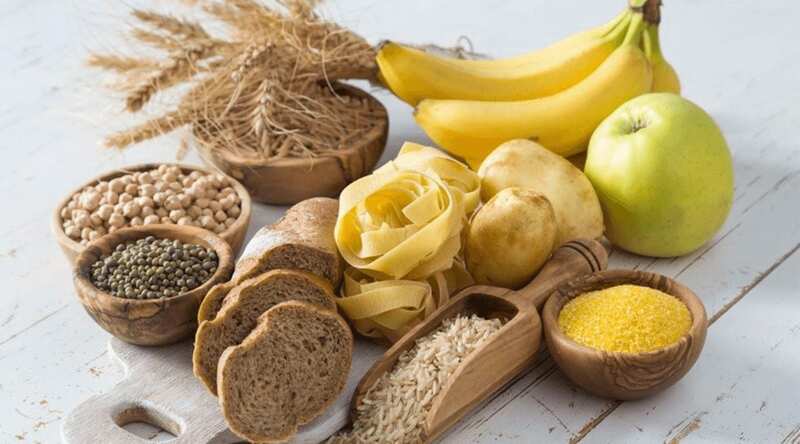 Carbohydrates are a highly efficient source of fuel – due to the body requires less amount of oxygen to burn carbs as compared to fat and protein. Especially when doing high-intensity exercise or heavy work, high carb diet becomes more necessary as the chance of running out of calories is high. Let us look at the foods high in carbs and tips to make efficient use of a high carb diet. Bananas stand first on the list of foods with carbs because they are easy to eat, digest and available everywhere. Bananas contain highest sugar content than any other fruit. They contain fast acting carbs which are converted into the energy in no time. That’s the reason why most athletes prefer to eat bananas to get instant energy. 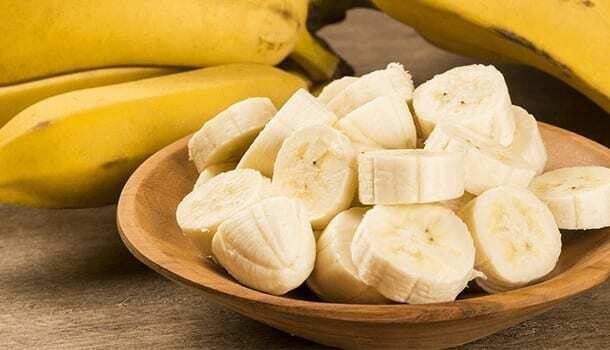 Whenever you experience tiredness or weakness, eat a couple of bananas to acquire energy quickly. Bananas are a carbohydrate-rich food that also contains good amounts of protein, vitamin B6, vitamin C, and fibre. One large banana provides you with 22 grams of carbohydrates on an average. You can have bananas directly, or you can have it in the form of juice or through salads, whichever you can according to your liking. If you need a high carb diet to supply your body with high energy, berries would be the one you have to add. 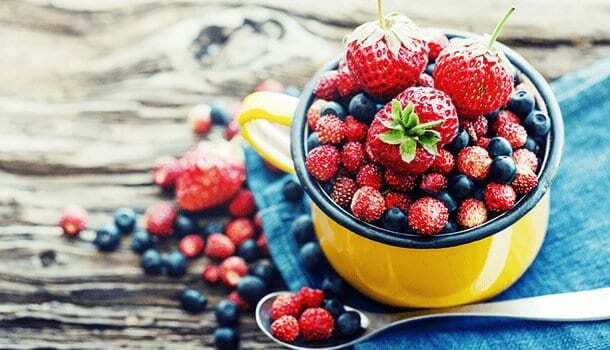 Berries like strawberries, blackberries, blueberries have a significant amount of carbs in them and are one of the sweet carbohydrate-rich foods. Blackberries and strawberries contain 15 grams of carbohydrates for 1 cup whereas blueberries outperform with 22 grams for 1 cup. As they are sweet in taste, most people like them but one cannot eat more than a cup of them in a single day. Don’t rely completely on berries to fill your need of carbohydrates as they are not high concentrated sources of carbs. Potatoes are widely famous around the world for its mighty carbohydrate content. If you ask for carbohydrate rich food, most people will throw this answer to you. In fact, carbs are the nickname for potatoes in many places around the world. Due to its rich carbohydrate capacity, diabetes patients are often advised to stay away from them. 1 cup serving of boiled potatoes consists of 30 grams carbohydrates, and 1 cup of mashed potatoes contains 36 grams of carbs in it. French fries, the favorite snack among youth, contain 30% of carbs which makes it a high carb snack. 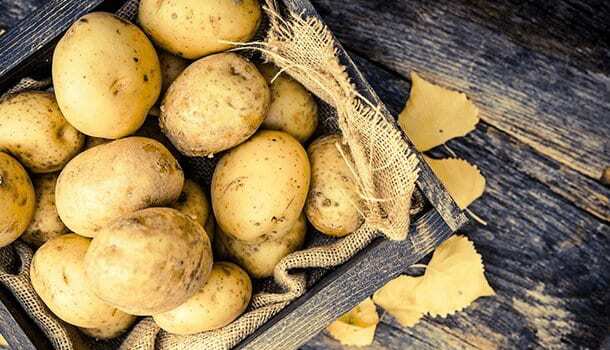 Potatoes are free of sodium, fat, and cholesterol which make them undeniable for any diet. They also contain vitamin B6, vitamin C, iron, and fiber. 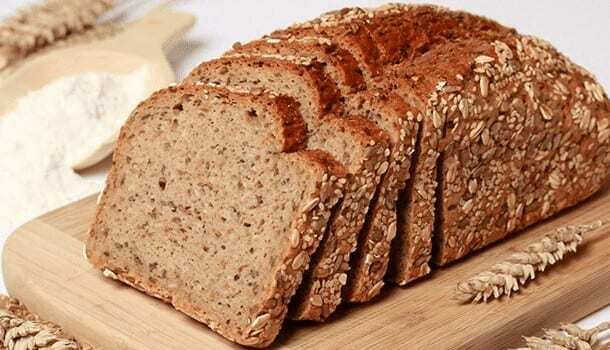 Bread supplies a lot of nutrients that are necessary for the maintenance of the health and well-being of the body. Bread is one of the foods containing carbohydrates that also supplies with vitamins, minerals, and fiber and is low in both cholesterol and fat. A slice of whole grain contains around 20 grams of carbohydrates, which is too high for other foods to compete with bread. White bread contains an even higher amount of carbs. But most bread we come across us are of low quality, and so one must buy only in renowned stores to get better quality bread. Bread also contains high amounts of fiber which keeps you full for a longer time. So opt for this high carbohydrate rich food according to your need and necessity. 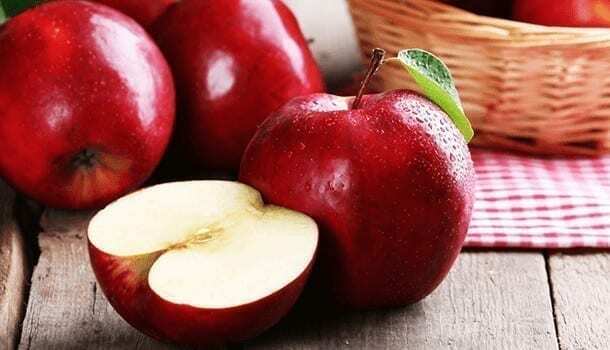 A health conscious person should be aware of the apple’s nutritional strength and its delicious taste. It takes a whole article just to discuss the Apple as it has enormous benefits for health. Apple is the best answer for the question- What foods are high in carbs? One apple on an average contains 25 grams of carbohydrates. They also contain antioxidants and phytonutrients that are boon to the health. They fight well against the cancer situation and reduce the risk of heart stroke. An apple, a carbohydrate rich food, is capable of solving many health issues when taken in everyday terms. Whole grains are the healthy high carb food which is an excellent source of complex carbohydrates and dietary fiber. Almost all of the grains are known as great foods with carbs. Some of the most honorable ones are rice, wheat, corn, barley and oats which have high carb content. Brown Rice tops the list of foods with carbs among all the whole grains. Brown rice contains 35mg of carbohydrates per serving. 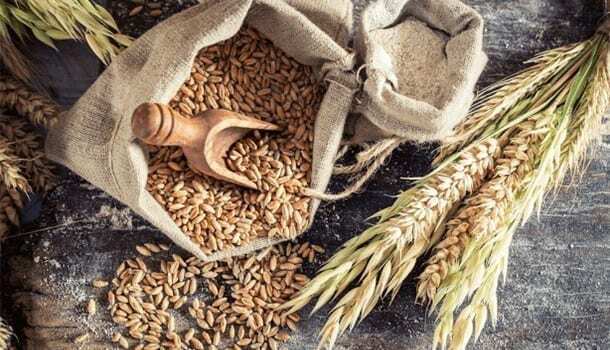 Whole grains also promote digestive health and help in weight control and management. Legumes are the carbohydrate rich food which contains way more proteins than any other vegetable. Just like grains, nuts and legumes are other rich sources of complex carbohydrates. Leaving the carbohydrates, they also contain omega-3 fatty acids and proteins and various minerals and vitamins. Their high fiber content aids the digestion process and helps to maintain weight. 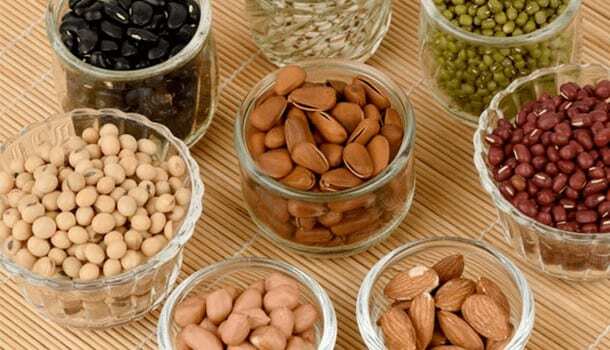 Nuts and legumes which are healthy high carb foods are lentils, split peas, soybeans, pinto beans and kidney beans. Sweet potatoes are another carbohydrate rich food which contains 20-23% of carbohydrates per serving. An 8 ounce of sweet potato possesses 235 calories and saturated fat. They are also a tremendous source of dietary fiber, vitamin A, vitamin C, and manganese and potassium. 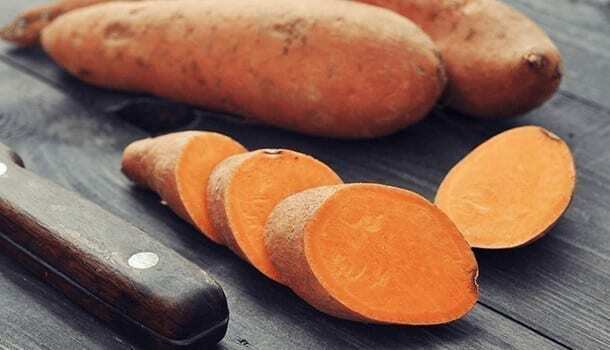 Unlike potatoes, sweet potatoes are safely recommended for diabetic meal plan. Start your day with a healthy cereal meal to consume required amount of carbohydrates. Most of the packed cereals contain a high amount of sugar even though they claim to be not. This kind of cereals contains 95% carbohydrates, whereas the other kind contains around 15% carbs. 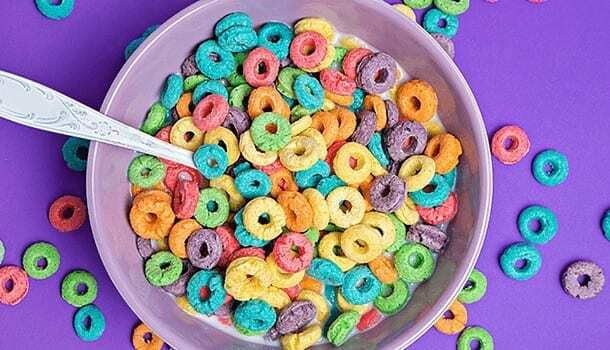 Not just cereals are a great food high in carbs, but also contain fiber, iron, zinc and B vitamins which play their role in the body for various functions. 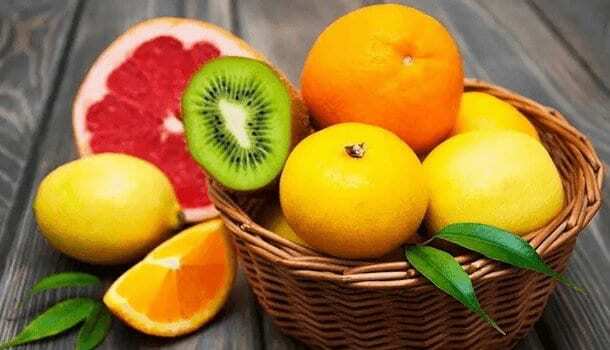 Citrus fruits are popular for vitamin C and minerals, but not in the knowledge of many that citrus fruits are also a great source of energy-yielding nutrient, Carbohydrates. Citrus fruits are carbohydrate rich food that contains simple carbs, glucose, fructose, and sucrose and of course citric acid. 150 grams of oranges roughly contains 15 grams of carbohydrates. Grapefruit aids weight loss and reduces insulin resistance. Eating grapefruit helps prevent kidney stones and lower cholesterol levels effectively. Dry fruits like prunes, kiwis, and dates contain a lot of carbohydrates along with other important vitamins and fibres. These dry fruits don’t just satisfy your health needs but also satisfy your sweet tooth. Dried peaches, raisin, and apricots contain around 70% of carbohydrates which make it the best food with carbs and other nutrients. ¼ cup of dry fruits contains 45 grams of carbohydrates which are a highly concentrated source of carbs. 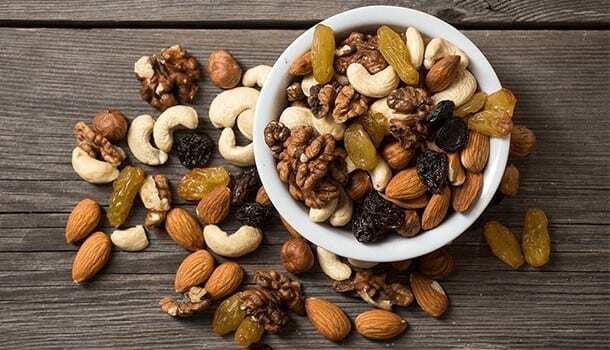 Quarter a cup of dry fruits in a day is recommended as it gives around 45 grams of carbohydrates. You can have dry fruits directly or through the means of salads, and desserts or any dishes. There are numerous ways of taking this carbohydrate-rich food, and all of them are found to be effective in taste and also for health. Quinoa is a nutritious seed that has now become incredibly popular in the health fraternity. Quinoa is rich in minerals and plant compounds. Quinoa does not contain any gluten, becoming a good alternative to wheat on a gluten-free diet. Quinoa contains 22% carbs which make it a high carb food. 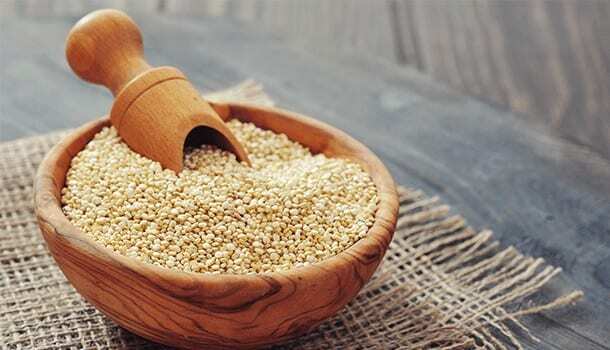 Quinoa is also one among the few foods that are both carbohydrate-rich food and effective weight reducing food. 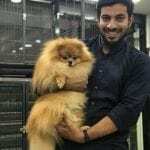 Till now we have learnt what are carbs, and most amazing foods high in carbs but there are some foods which claim to have a high amount of carbohydrates but don’t have good nutrition. Let’s look into them in detail. Some high carbohydrate foods provide very little nutrition. These kinds of carbs are simply called empty carbs or empty carbohydrates. Many foods and drinks we consume every day though contain high carbohydrates; they don’t contain any nutrition. We must try to avoid those foods because consuming many empty carbohydrates is harmful to the health. Following are some empty carb foods that we consume daily. Regular sodas, energy beverages, sports drinks and flavored waters contain empty carbohydrates with no nutrition value. One can of soda consists of 35 grams of empty carbohydrates. Corn syrup is generally recognized as a carbohydrate-rich food, but the carbs in them don’t have any nutrition. The high starch content makes it a highly processed food which increases weight in an unhealthy manner and also has high calories. All the ingredients used in the process of preparing cakes and cookies are high carb foods. An average size cake slice contains 50-60 grams of carbs. Though it might occur to you as a carbohydrate-rich food, don’t ever believe that. Almost all the carbs in the cake and cookies come of no use regarding nutrition. You might have already known about the zero nutrition content of the candies we normally eat. Despite its 99% of carbs, there is no nutrition present in them. Excess intake of carbs can upset the levels of blood sugar in the body. It is also directly proportional to the heart diseases, obesity, and diabetes. It’s necessary to balance the number of carbohydrates with the protein and fat.